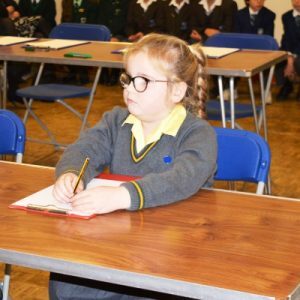 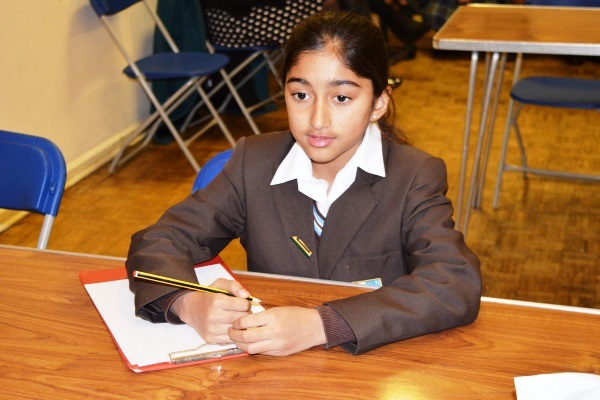 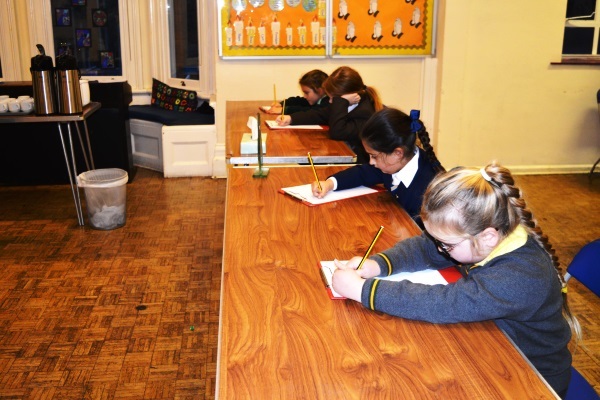 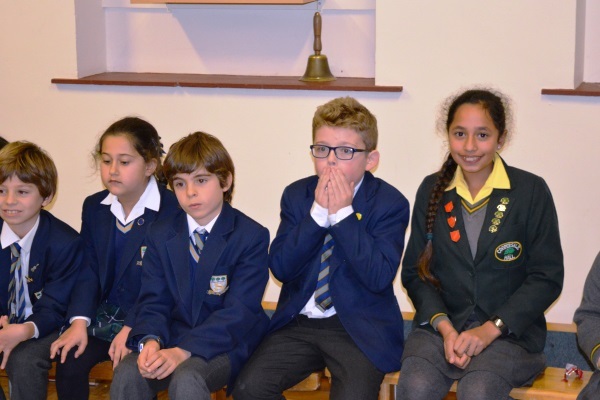 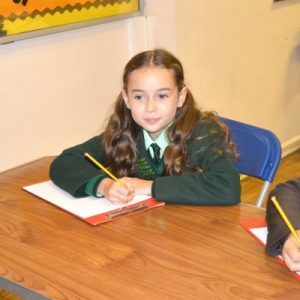 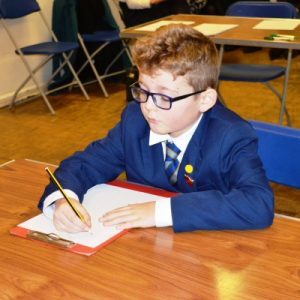 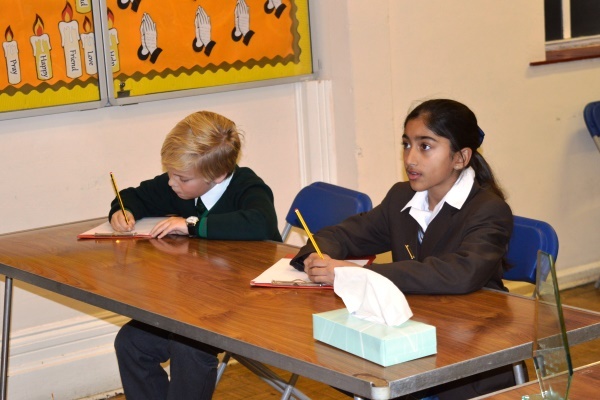 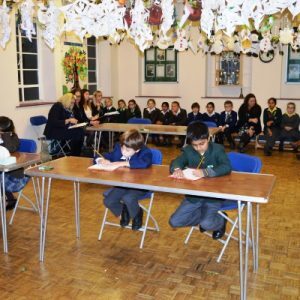 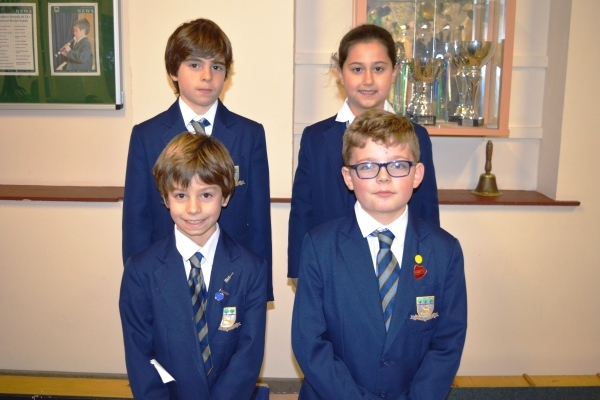 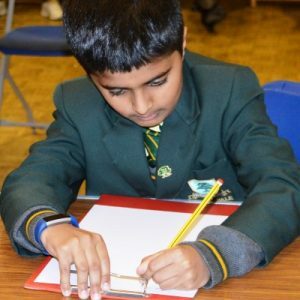 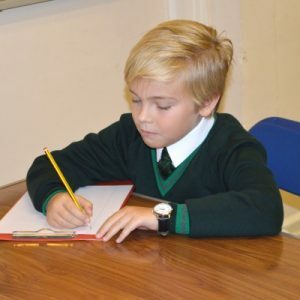 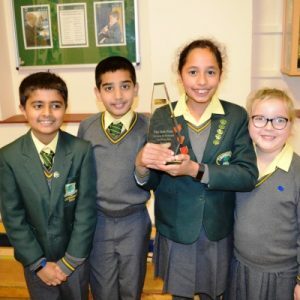 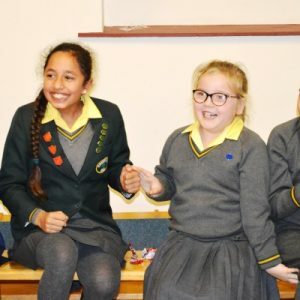 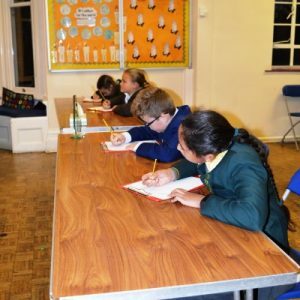 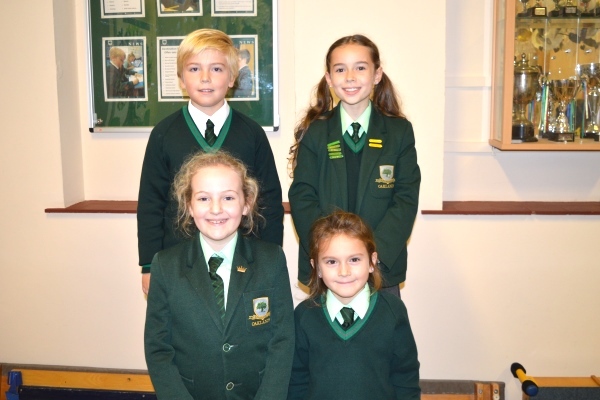 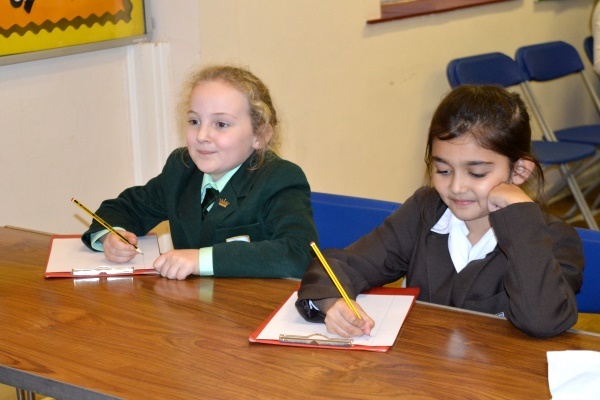 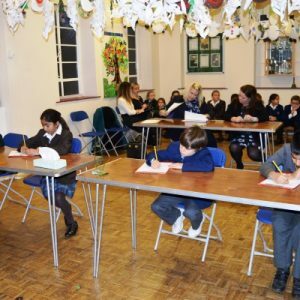 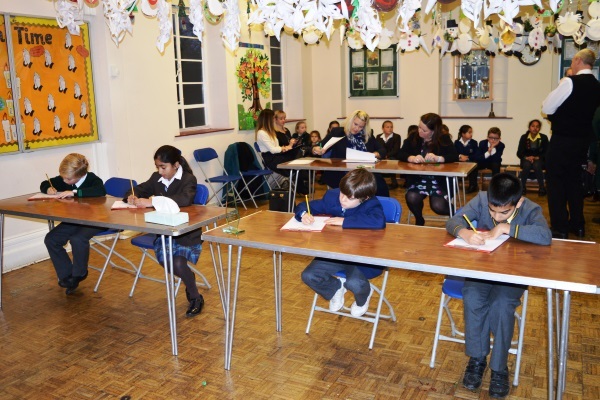 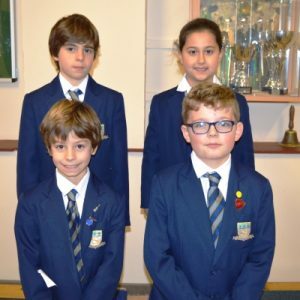 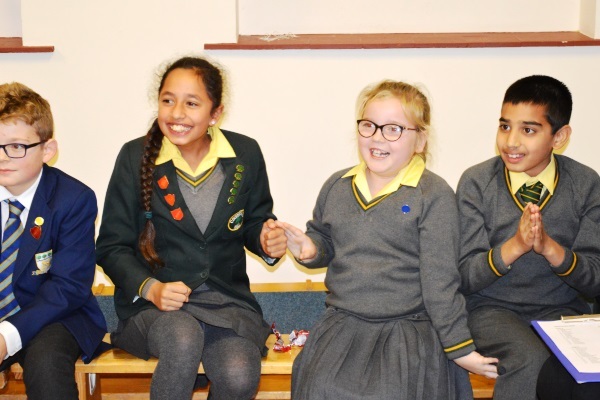 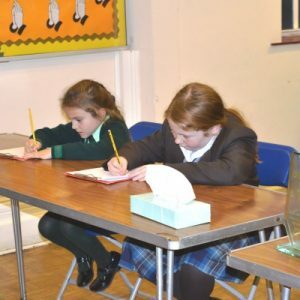 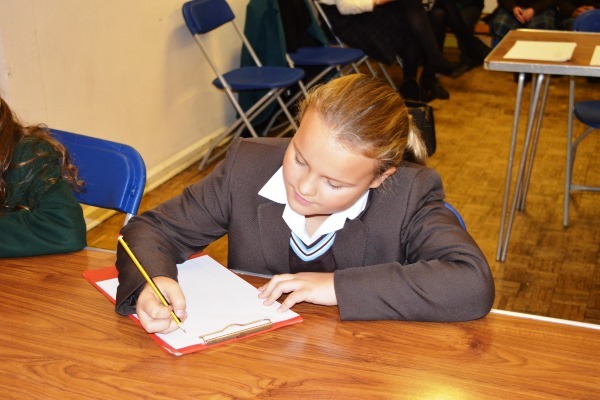 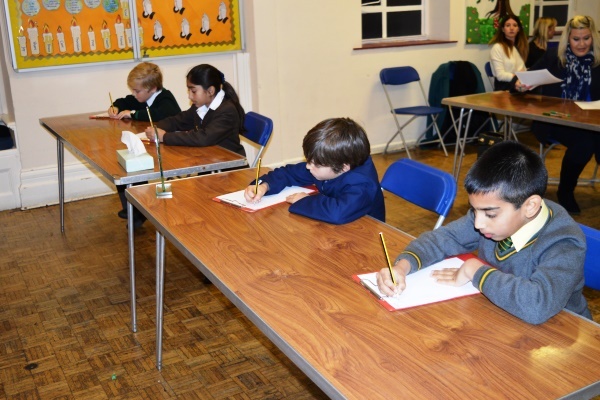 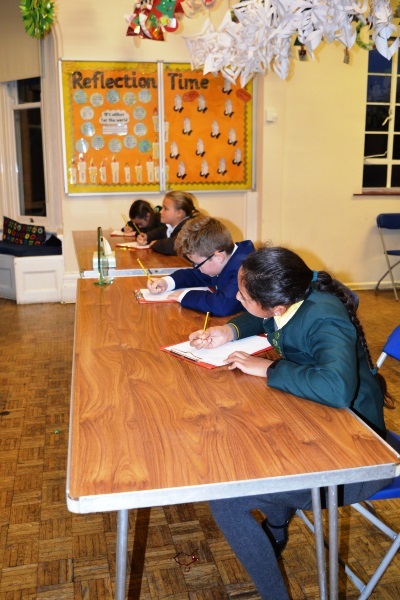 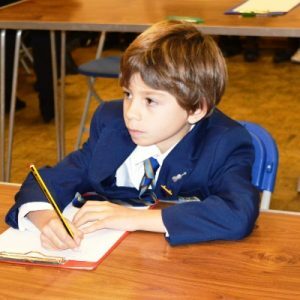 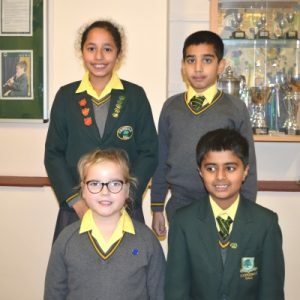 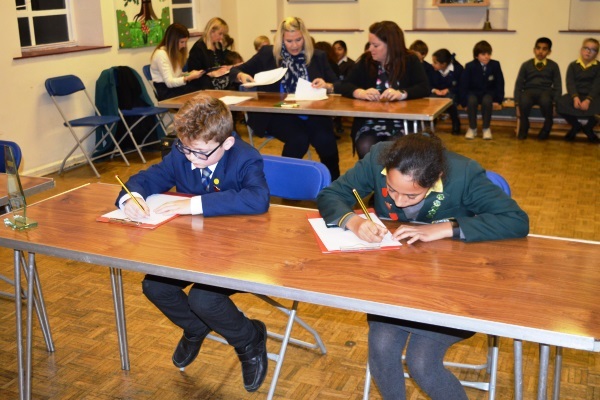 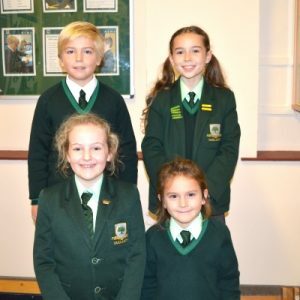 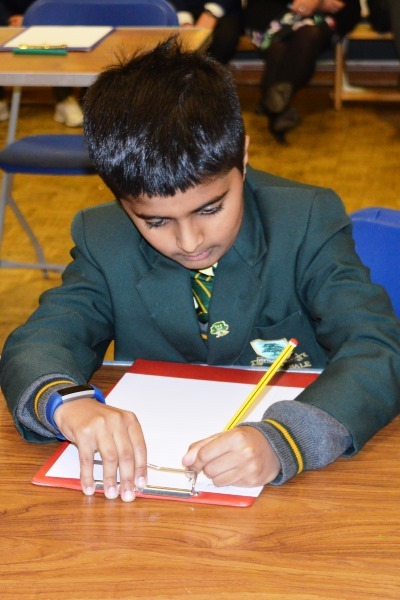 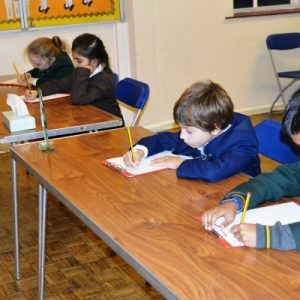 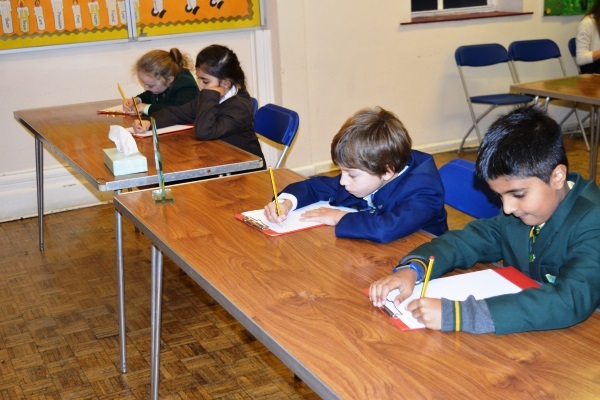 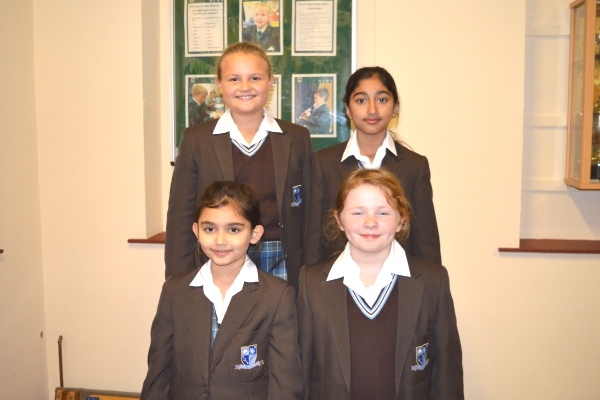 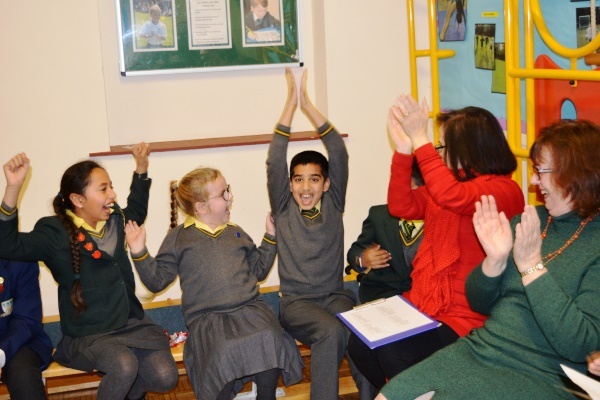 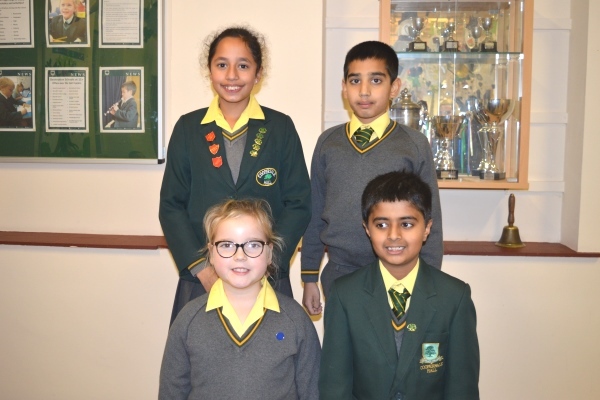 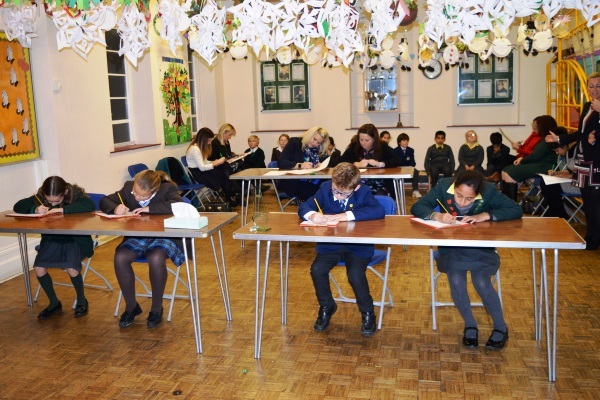 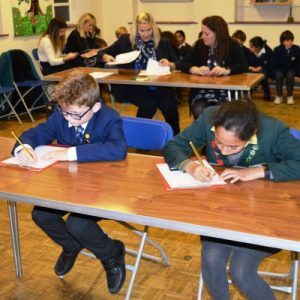 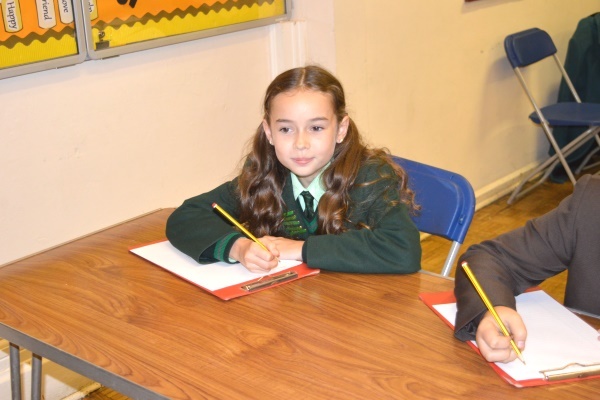 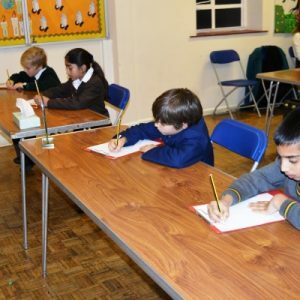 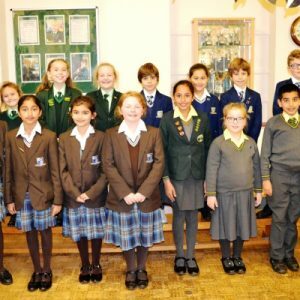 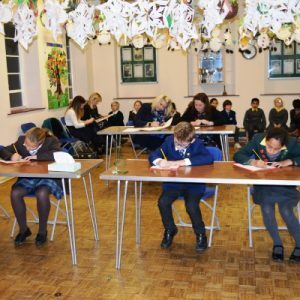 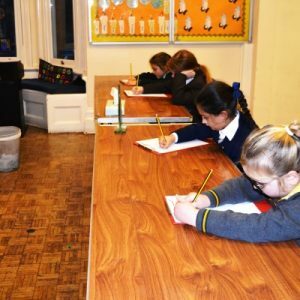 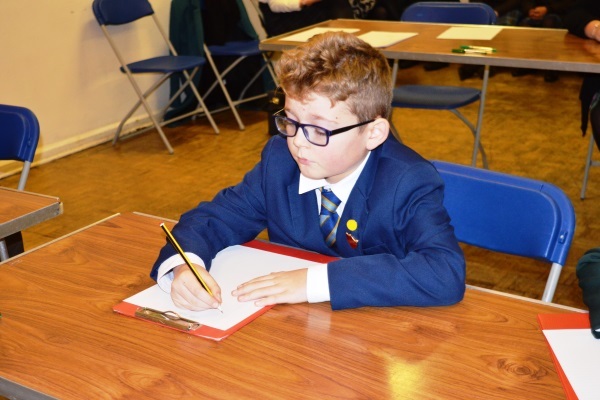 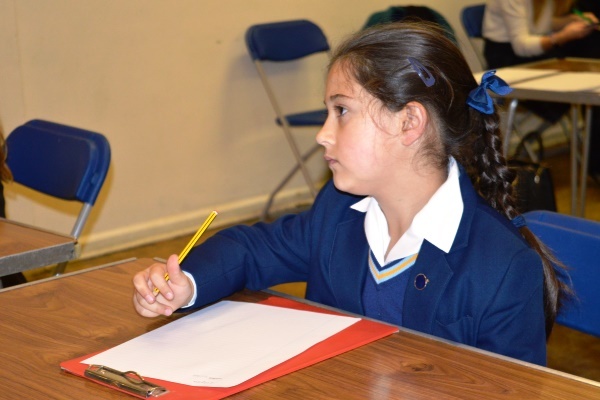 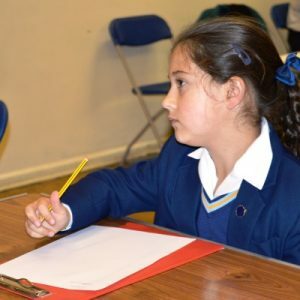 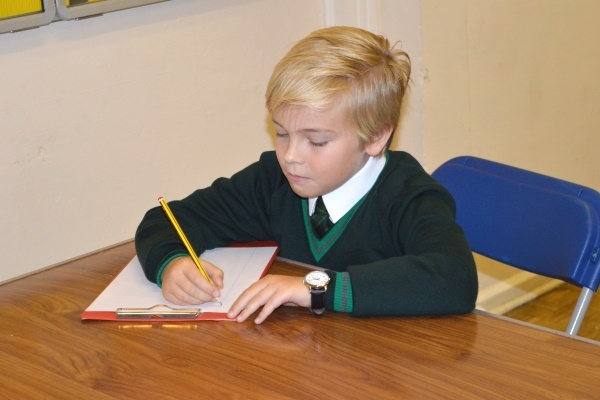 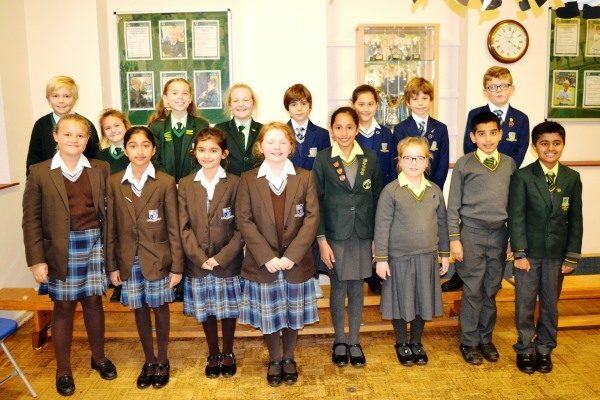 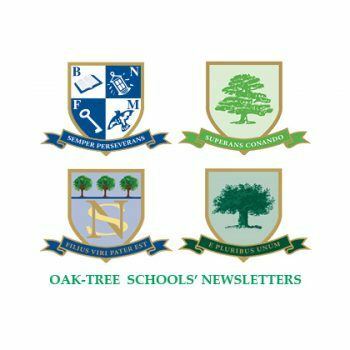 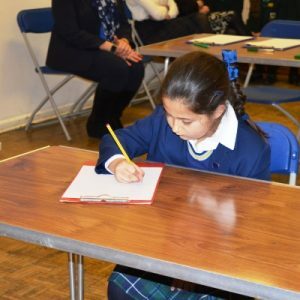 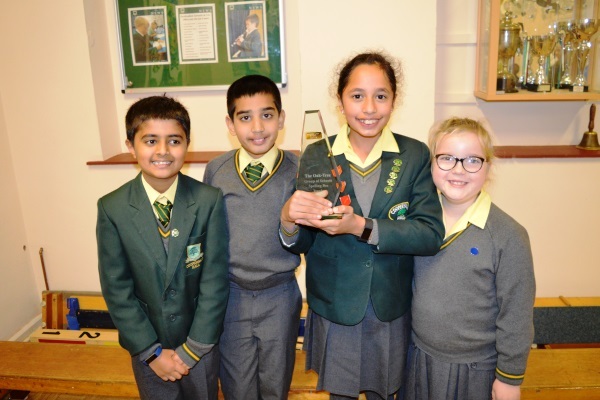 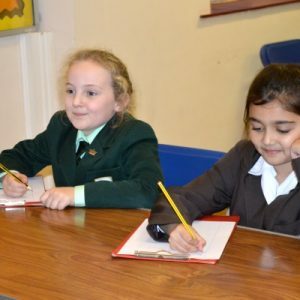 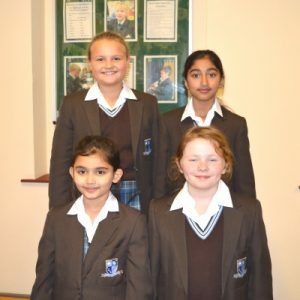 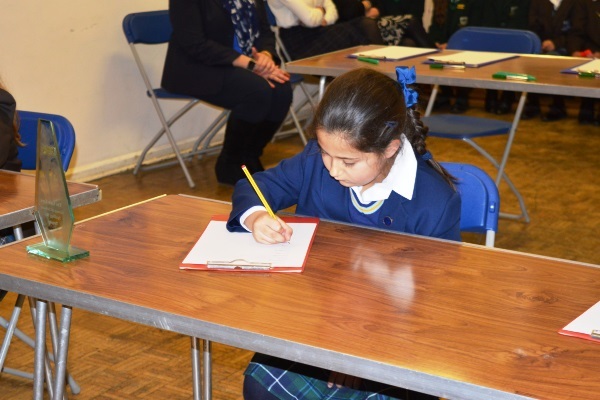 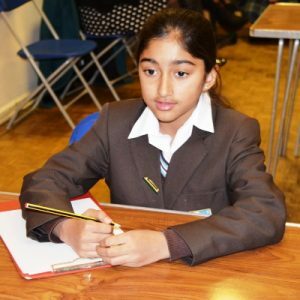 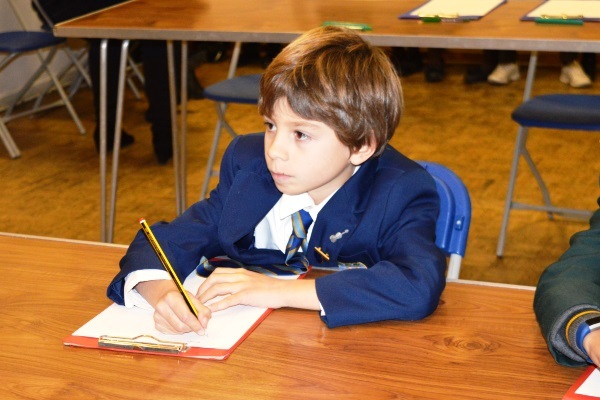 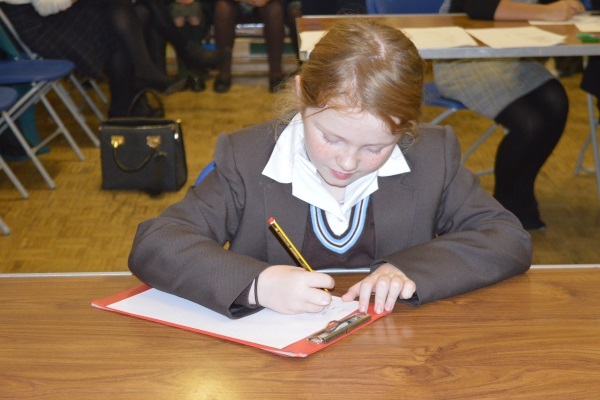 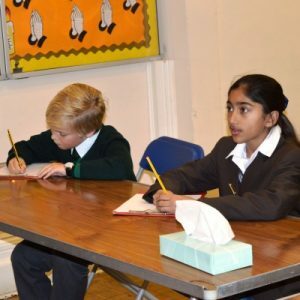 Last Thursday the Oak-Tree Spelling Bee was held at Oaklands School. 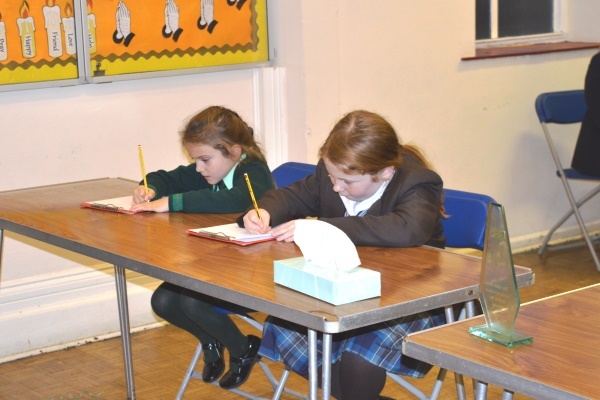 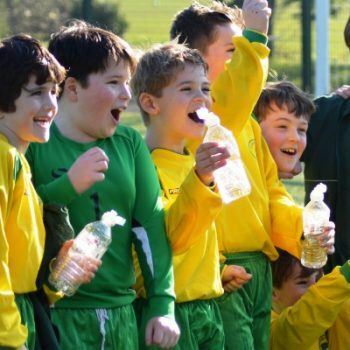 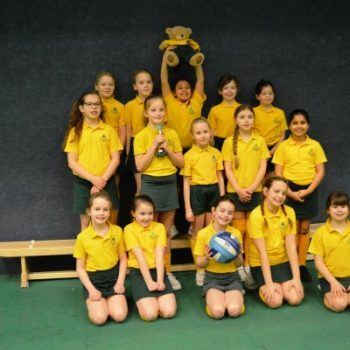 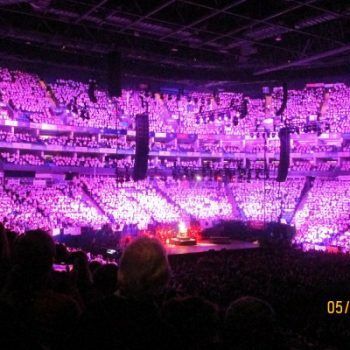 A Year 3, 4, 5 and 6 pupil from each of the four schools took part. 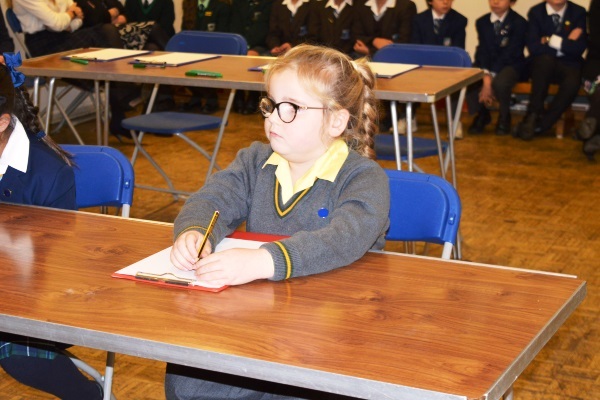 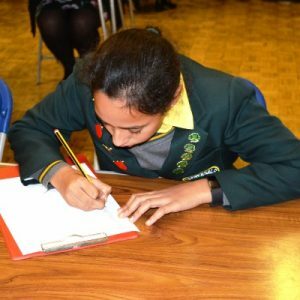 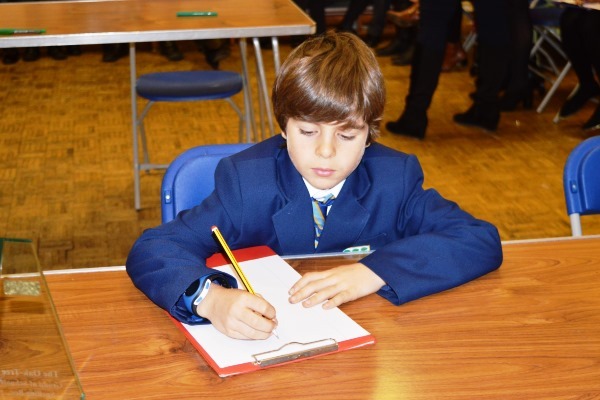 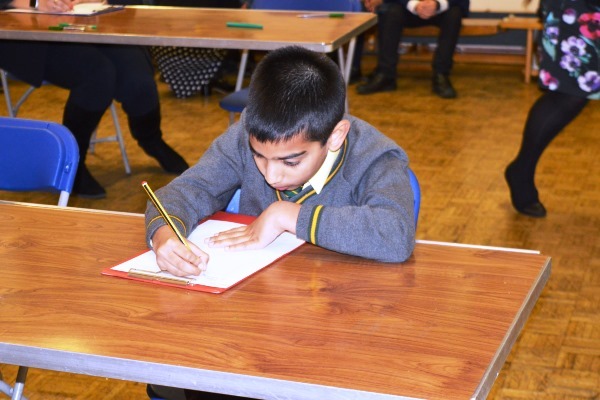 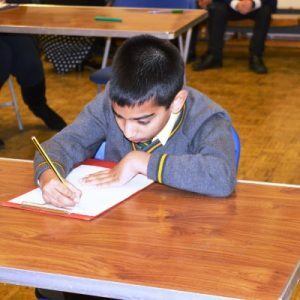 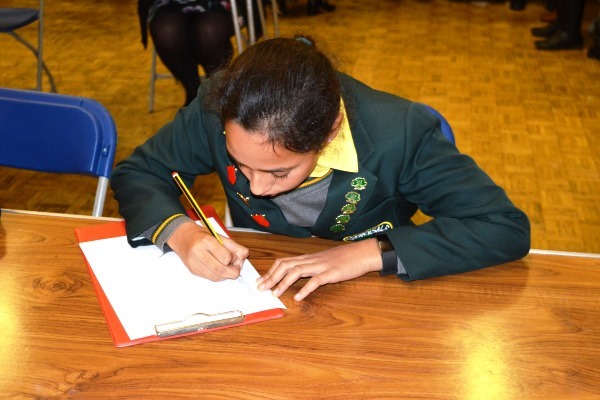 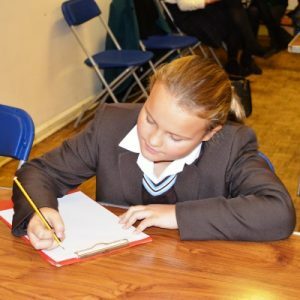 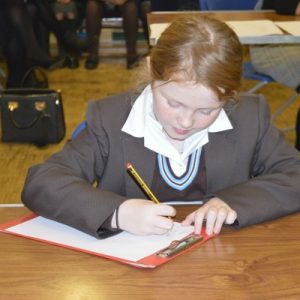 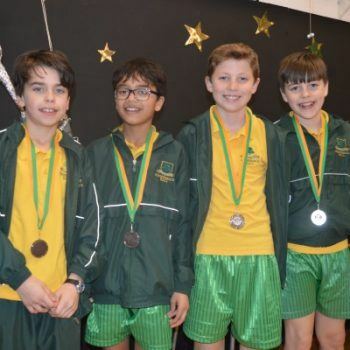 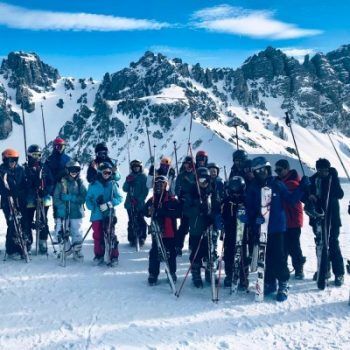 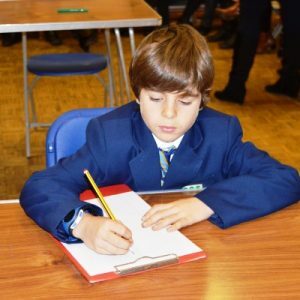 Pupils were called up in Year groups and had to spell out a series of words related to their age group, with the spellings getting trickier as the competition went along. 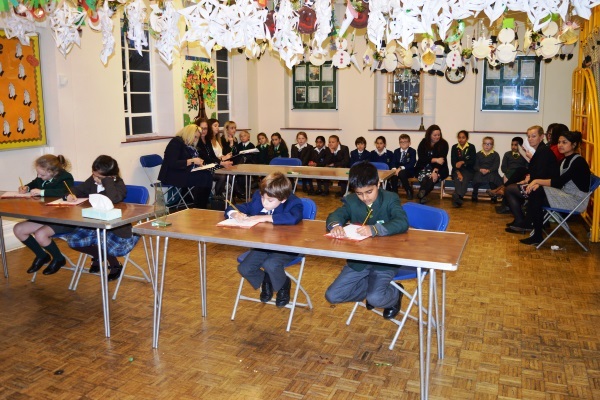 After all 4 rounds, the spellings were marked and the results could be announced.